As a child, we all might have seen our parents as invincible adults who never grow old. However, we fail to realize as we age, they get old. It happens slowly but sadly it happens! And, it shatters our heart to see them struggling to cope with their daily activities. Day by day, they become fragile and do things slower than they once did. As their age advances, they require external help and additional medical support. We could help up to some extent and take them to the hospital whenever they require medical care. However, with their reduced mobility, visiting a hospital for treatment becomes a strenuous task for the elderly considering the travel, waiting period and the infectious hospital atmosphere. The medical help from a reliable home healthcare services provider comes in handy for elderly. The medical support from home healthcare providers for various health issues ensures seniors’ independence and help them to grow old as slow as possible. However, finding that ‘reliable’ healthcare partner for your loved one would always be difficult. Here are 12 tips that could help while hiring a home healthcare for seniors. A healthcare agency is all about its medical staff. Be it a simple assistance or treatment, it is important to make sure the service providers are well-qualified, experienced and most importantly they could take good care of your loved one. When it comes to treating elderly, one should require additional patience and a bone for going that extra mile to give the best care. This practice could not be expected by general home healthcare providers. Request for the same care giver as they know the senior well, they could provide the best support needed. However, it is sometimes difficult for the service provider to appoint the same person but they could alternate between 1-2 people. Once the appointment is fixed, the agency will send their doctors to know the type of medical support needed and based on that further support is provided. A good agency can provide multiple types care for best results. Every senior wants to live a dignified life and it is their right. The agency should respect it and protect the privacy of the patients and their treatment details. Ensure the agency follows this policy before hiring. Seniors require more than just medical support. The agency should be able to provide personalized support as it yields best results. The doctors and caregivers should be able to get along with the seniors. Many seniors often find it difficult to get the right care at the most required time and that times could be the middle of the night. It is imperative to check if the agency is able to provide round the clock service. It is very important as many seniors find it embarrassing and hesitant to convey what they need. It is the care givers duty to be more proactive and fulfil the needs of the elder person. It is advisable to choose the home healthcare that can provide comprehensive medical support at home for the seniors such as nursing care, dental care, physiotherapy, blood sample collection, dialysis and medicine delivery. The assistance or caregiver services should be flexible. Some seniors may require long-term care and some may require short-term care. So, it is important to know whether the agency is providing both. 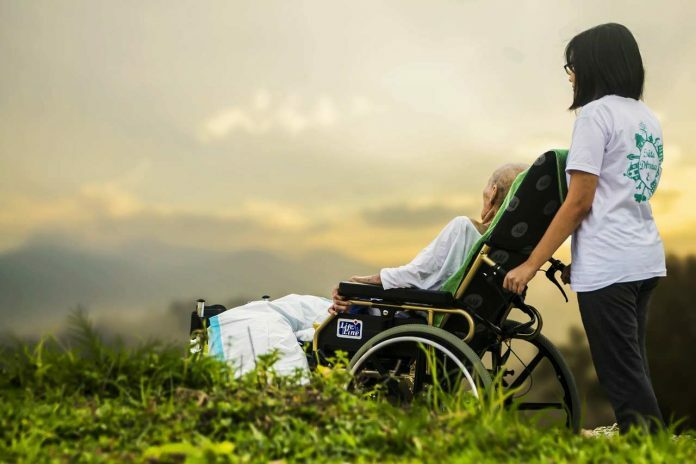 Most importantly, the distance between the home healthcare office and your parents’ house should be checked as distance plays an important role in case if your parent require a medical support urgently. If any of your relatives have availed an agency’s services and they refer that agency to you, it is better that you go for their word. Most of the cases the quality of service would be the same from an agency. It is our great responsibility to ensure our beloved parents get only the best medical support in the times when they need it the most. Follow these few tips to ensure they are getting the right care and are in the right hands. Previous articleDo you feel a frequent and painful urge to urinate? Thilak is the in-house content writer of Healthabove60, the Preferred Geriatric Home Healthcare service provider in Chennai. He mostly writes about health and elderly wellbeing.